Frequently Asked Questions about our Training System and Academy. Q. What training method do we use? A. At The Puppy Academy, we use positive reinforcement along with dog psychology as the methods for training all of our puppies. Positive reinforcement rewards puppies for their good behavior and dog psychology adds a deeper understanding of canine behavior and tendencies to achieve a calm, balanced, and behaved dog. Our training is a fun, positive, and an encouraging experience for your puppy that motivates her to do well, learn to do what is asked, and repeat the good behavior consistently, for the highest training results. Q. Why do we use and teach hand signals along with our command words in training? A. By incorporating hand signals with the command words, it provides your puppy with a second means of understanding what you are asking of him. Dogs recognize hand signals very well. It is very convenient to use them when distance training instead of having to yell out the command, when explaining to other people how to ask your puppy to perform a command, and in situations where it's very noisy. Using hand signals is also beneficial if there are other family members who do not speak English, they can simply use the hand signals to interact with your puppy. Hand signals provide an additional, extremely useful tool to build communication and form a deeper trust with your puppy. Q. Why do we train the puppy first, and then the owner? A. We can train your puppy to be the perfect puppy you've dreamed of, but if the owners aren't educated in the training techniques, your puppy can start running the show at home again. At The Puppy Academy, we have created a successful system where we train your puppy for you first, then transfer that knowledge over to you, which requires less time, less patience, less worry, and less stress on the owner's part. Many owners have their own style of training their puppy, or they aren't quite sure how to properly train at all. The Puppy Academy provides a disciplined training method for puppies to learn by, and through engaging them in this, puppies are eager to train, enjoy it, and learn faster. By training puppies first until they perfect the command, it eliminates any confusion puppies may have trying to understand the same command being delivered to them by their owner, and it takes the pressure off owners trying to figure out the correct way to administer a command to their puppy and how to get their puppy to perform correctly. Once your puppy has mastered the command taught by us, we then teach the owners how to call the command with the appropriate tone, hand signal, and form, and the beauty is: your puppy already knows how to perfectly respond to the commands! There is huge joy, relief, and excitement an owner feels when you realize that not only can you communicate with your puppy, but that she listens to you and understands you with ease! This now creates an easy transition for bringing the training from school, into your home. Your puppy already knows what to do, and now you know how to properly ask. You will feel more confident as your puppy's leader, and begin enjoying the benefits of an obedient puppy immediately. Q. Is our training guaranteed? A. At The Puppy Academy, we have a very unique training method that has proven to be extremely effective in achieving training results that stick quickly and remain over time, with puppies of all sizes and breeds. In order to do this successfully, we need cooperation and follow-through from every owner. The most successful results for any puppy's training will depend on the owner's consistency of having their puppy attend the scheduled school days regularly, as well as their own personal commitment to practice the learned commands and behaviors with their puppy on their own time, at home. (Aka do your homework too!) As with any training, practice makes perfect! Owners must also understand the importance of attending the Private 1-on-1 Owner Lessons, as they will be shown how to effectively communicate with their puppies, act as their leader, and learn how to positively reinforce commands and good behavior in their personal household. Participation in each of these will help ensure the best training results! We don't think you'll need it, but if there's ever a time when you feel you may want a refresher class for you and your pup, we are happy to provide this for you, as well as work on any issues that may have arisen. Just contact the school and we'll set that up for you right away. Or, feel free to always call or email us with any questions you may have with your pup. Our students - new or old - are always a part of The Puppy Academy family. Q. What are our health and safety practices? A. Health and safety is of upmost importance to us at The Puppy Academy. We do everything in our power to maintain a clean, safe, and healthy environment for our students. Puppies must be current on all of their vaccinations, at all times, and provide proof of vaccinations throughout enrollment. This includes DHPP, Bordetella and Rabies. 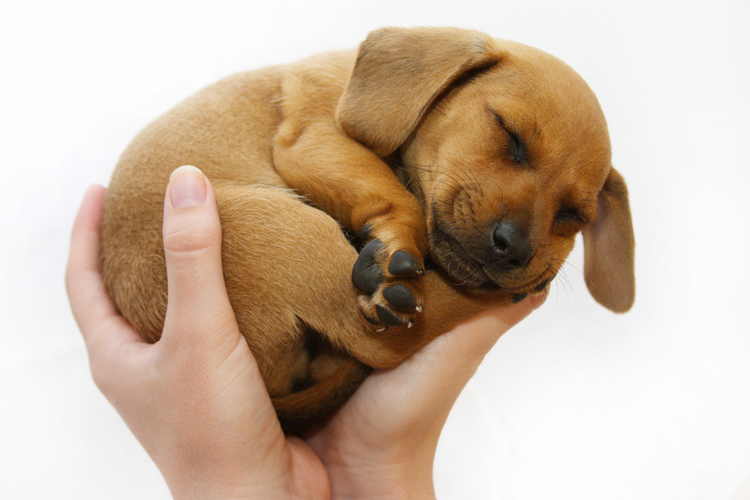 In addition, every puppy must pass a health check each morning before admittance for the school day is granted. During the health check, puppies are examined closely for hot spots, rashes, fleas, and other signs that may indicate a health concern like red eyes, a runny nose, inflamed gums, bacteria on the paws, etc. 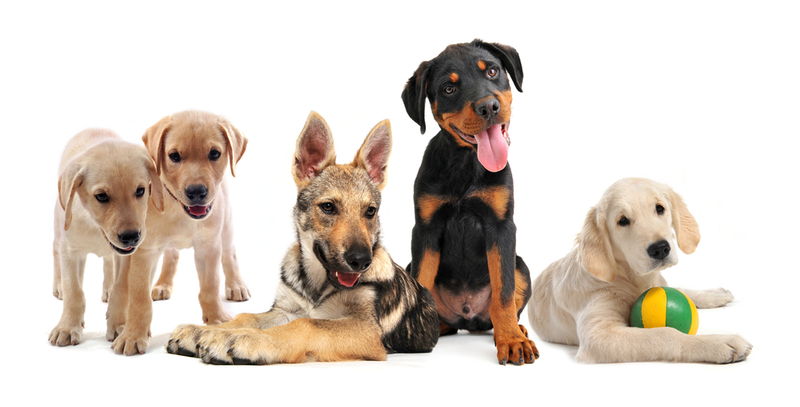 Any puppy exhibiting a potential health concern will not be allowed to attend school until the problem is resolved. This is in the best interest of the sick puppy and every other student at The Puppy Academy, in order to maintain the healthiest atmosphere possible. Puppies train and play in a strong, protected, fenced-in area with secure exit ways with double doors, to ensure no students can slip out. We use a special canine-friendly rubber floor that lessens the stress on a growing puppy's joints and muscles, and provides a softer padding when puppies are playing around. 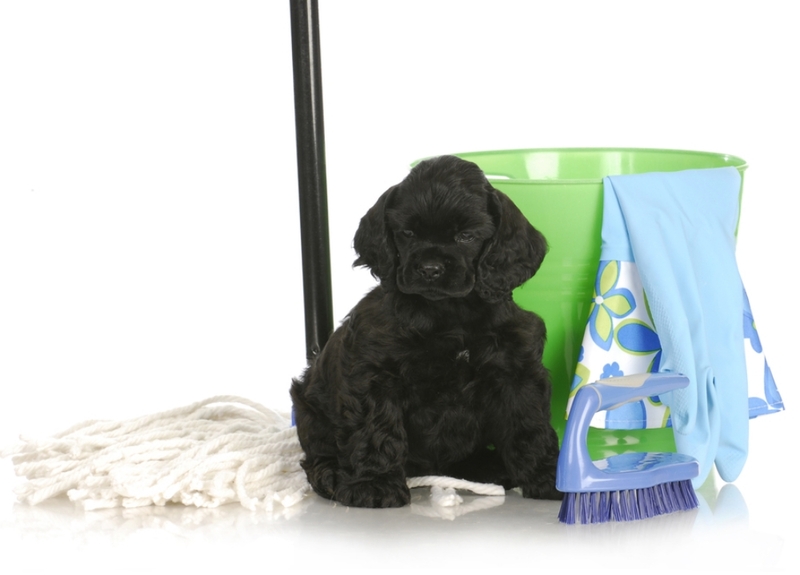 The Puppy Academy facility is cleaned and sanitized continuously throughout the day with safe, pet-friendly disinfectants, to ensure the top level of cleanliness. There's no water bowl sharing and water bowls and toys are washed, cleaned, and disinfected daily. We have gone a step further and installed a hospital grade air purifier that kills 99.97% of all airborne bacteria and viruses, thereby drastically reducing the possible spread of any canine illnesses between students. Q. Do we practice any "Green" methods? A. Yes! As a continuing effort to help and improve the environment, we support the use of as many eco-friendly products as possible. Our rubber training floor is made from recycled material, our cleaning products are safe for the earth, and our puppy waste bags are biodegradable, to name a few! More things you'll WANT to know about us! This is NOT your typical training and doggie daycare center. We are the premier training and socialization school that trains your puppy for you first, then shows you how to maintain the training in the home! Puppies do not roam around aimlessly in a big area all day long. We operate on a fully scheduled and structured fun school day that puppies participate in to learn specific commands and good behavior in ALL areas. The Puppy Academy delivers the physical and mental stimulation puppies need, as well as the discipline and gentle correction necessary to master good behavior quickly. Enrollment is limited. We accept only a limited amount of puppies each semester to work with, so your puppy receives the uppermost personal attention and care from us. Puppies are monitored at ALL times to ensure their maximum safety. We have a low puppy-to-trainer ratio, which allows more eyes on fewer pups. 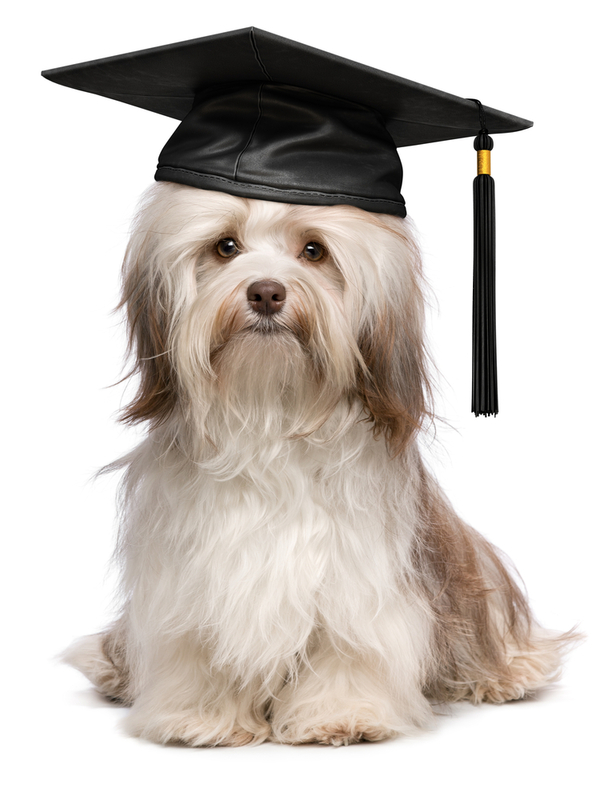 Our expert staff is fully trained in puppy training, canine behavior, and dog psychology. This is crucial because along with being able to obedience train puppies, our trainers are also able to predict and prevent potential issues and situations before they escalate. 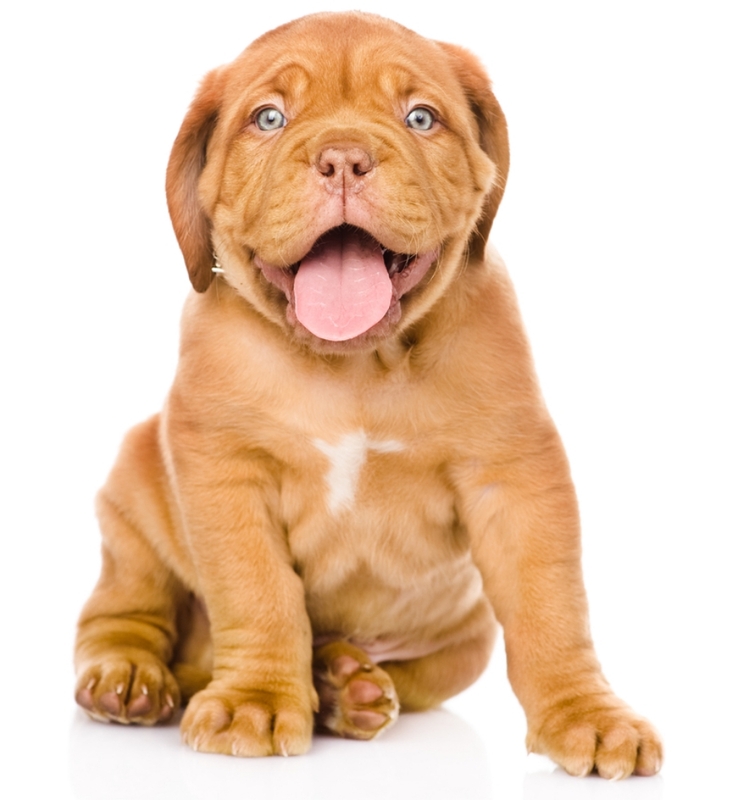 Your puppy is always in great, experienced, and professional hands! 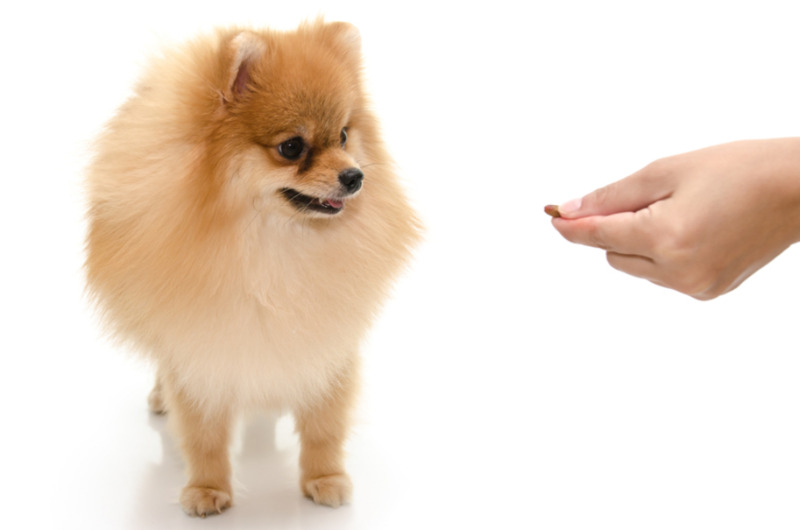 Puppies eat their own food and treats as provided by their owner. This is to keep them on their same diet as home, so their tummies don't get upset from a sudden change. We use only high quality natural and organic healthy treats while training. That is, only if and when we use small portions of something other than the food and treats the owners provide for us, as an extra motivator. We are attentive to your puppy’s allergies. Whether food-related, medication, or an environmental element, we will watch out for your pup as you would at home. We use only pet-safe and environmentally friendly cleaning products. Your puppy is never exposed to harsh or toxic chemicals. We check your puppy's poop! This may sound silly and gross, but many puppy health issues can be detected by their stool firmness, color, and the frequency of defecations your pup has. If we notice anything off, we will advise you right away, so you may choose to see your vet if it persists. We are big on giving back. That's why a portion of all our profits goes to local animal shelters and organizations dedicated to helping abandoned and less-fortunate dogs get the better life they deserve. We love your puppy and treat them as if they were our own. It is our joy and privilege to be your puppy's source of affection, companionship, and leader when you are not around. Their well-being and safety is our number one priority, and we are grateful to be a part of their lives!